Here in Central Kentucky, our farm communities have a lot to offer. Prime agricultural farm land, world-class amenities, and some of the friendliest people you'll ever meet. That's what makes the Lexington region the best place in America to raise your horses and your family. 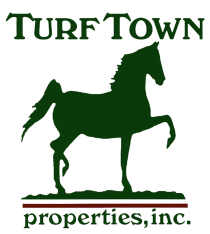 You'll find each community listed twice on our site: once with listings for horse farms, and a second time for vacant land and farms without pre-existing horse amenities. This allows you to truly take control of your search, whether you're looking to move in tomorrow or want to build your dream farm from scratch. Start your horse farm journey today by selecting from the communities below. Each page has more information about the specific farm community and active real estate listings within it. If you need help figuring out what Kentucky farm community is best for you, contact us! We will be happy to tell you more and help you reach your goals. Simply send us a message online or call us at 859-608-8039 and we'll help you achieve all of your Kentucky real estate goals!